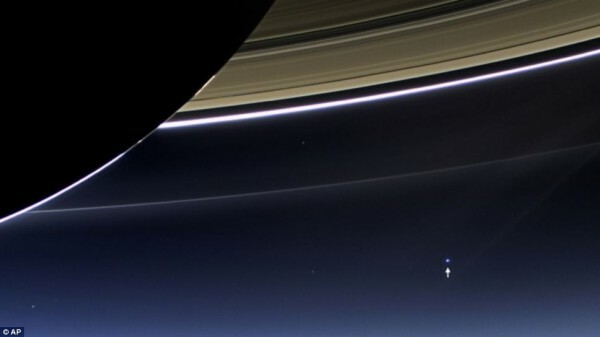 If you were looking with the eye alone, how far away in space would our planet Earth still be visible? 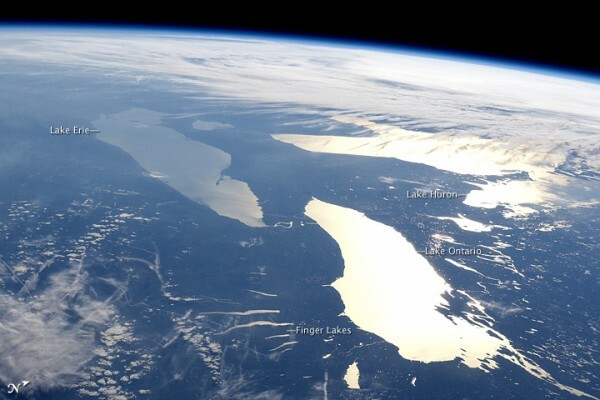 How far away from Earth can we be, to see it still with our own eyes? To answer this question, you have to take into account how brightly Earth reflects sunlight. And the sun itself is an important factor. As seen from any great distance, Earth appears right next to the sun – and, from a great distance, the glare of our local star would make Earth difficult or impossible to see. 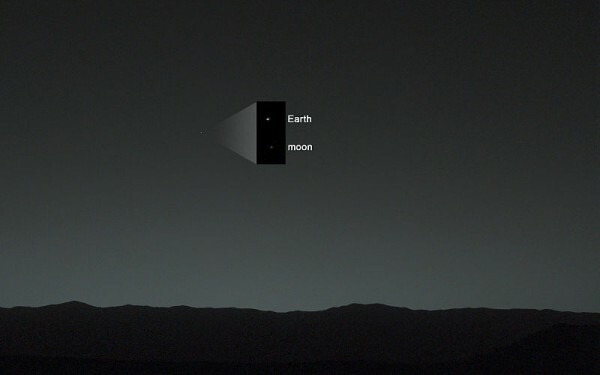 But spacecraft exploring our solar system have given us marvelous views of Earth. So imagine blasting off and being about 300 kilometers – about 200 miles – above Earth’s surface. That’s the height at which the International Space Station (ISS) orbits. The surface of the Earth looms large in the window of ISS. In the daytime, you can clearly see major landforms. 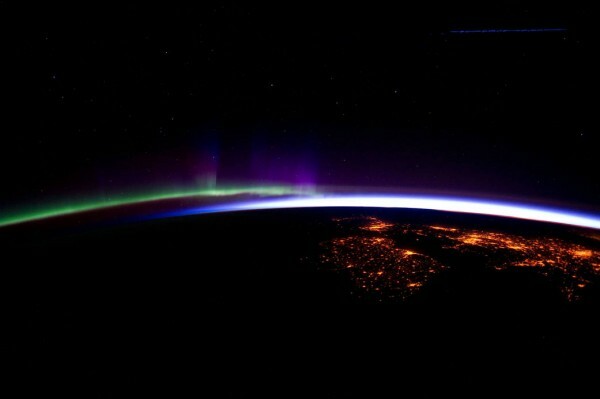 At night, you see the lights of Earth’s cities. As you pass the moon – about 380,000 kilometers away – or a quarter million miles – Earth looks like a bright ball in space – not very different from the way the moon looks to us. 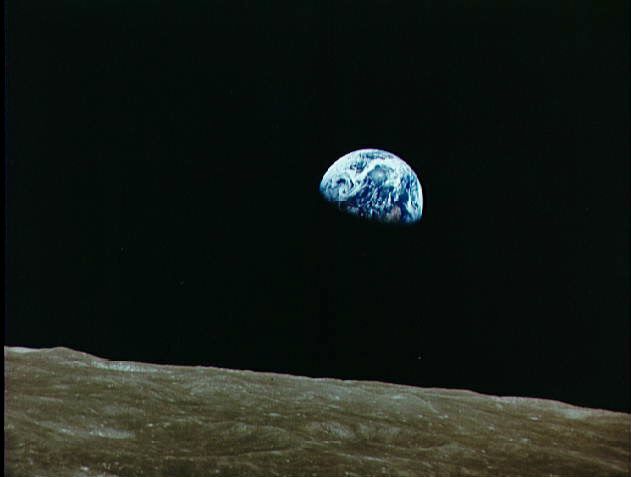 The first images of the Earth from the moon came from the Apollo mission. Apollo 8 in 1968 was the first human spaceflight to leave Earth orbit. It was the first earthly spacecraft to be captured by and escape from the gravitational field of another celestial body, in this case the moon. It was the first voyage in which humans visited another world and returned to return to Earth. 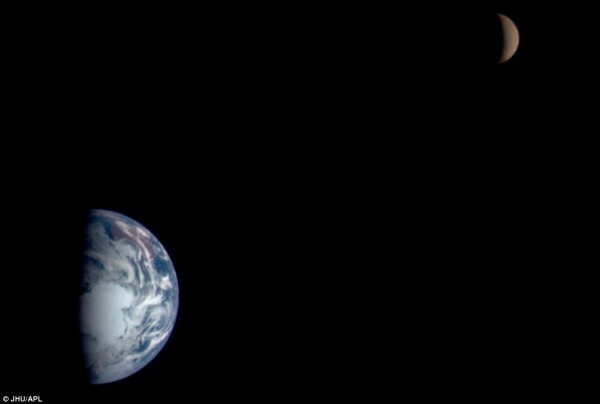 Then came the mind-blowing moment of seeing both the Earth and moon together in space. The next picture shows a crescent-shaped Earth and moon – the first of its kind ever taken by a spacecraft – on September 18, 1977. NASA’s Voyager 1 spacecraft was 7.25 million miles (11.66 million kilometers) from Earth at the time. Now moon exploration has become more common, though still amazing. This mosaic below shows images of Earth and the moon acquired by the multispectral imager on the Near Earth Asteroid Rendezvous Spacecraft (NEAR) on January 23, 1998, 19 hours after the spacecraft swung by Earth on its way to the asteroid 433 Eros. The images of both were taken from a range of 250,000 miles (400,000 kilometers), approximately the same as the distance between the two bodies. The robotic Kaguya spacecraft orbited around Earth’s moon in 2007. Launched by Jpan, and officially named the Selenological and Engineering Explorer (SELENE), studied the origin and evolution of the moon. The frame below is from Kaguya’s onboard HDTV camera. The light from Earth finally becomes too faint to see with the eye alone at around 14 billion kilometers – about 9 billion miles – from home – around the outer limit of our solar system – nowhere near as far as even the next-nearest star. Of course, if an astronaut or alien had a telescope, he or she could definitely see Earth further away than that. 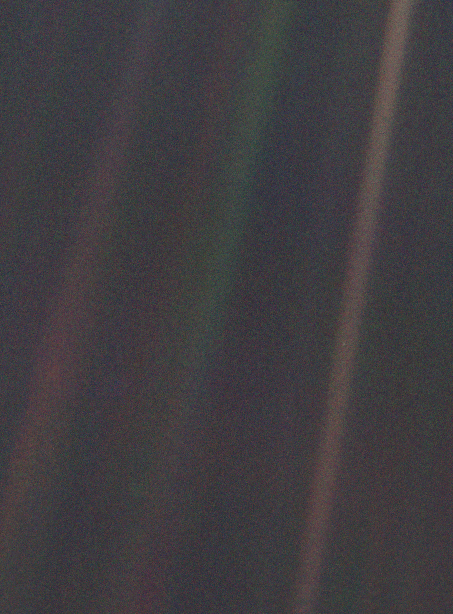 Bottom line: How far away in space can you view Earth with the eye alone? About as far away as the outer reaches of our own solar system at about 14 billion kilometers – about 9 billion miles – from home. ← How many trees are there in the world?